Few brands understand the spirit of exploring as deeply as The North Face. Every clothing and footwear range is as ambitious as the athletes who test their gear - world-class mountaineers, climbers, skiers and runners. From their legendary collections of high performance waterproofs to the distinctive style of the Nuptse down vest and from technical, ultra-lightweight gear, to casual wear for travellers this range has you covered for every adventure. For half a century The North Face has provided access to extremes for the seasoned mountaineer and everyman alike. The brand has grown from humble beginnings to prominence as one of the most iconic names in the outdoor and mountaineering community. The name evokes toughness and challenge - the north face of a mountain typically being the coldest and most formidable route of ascent – and this aspiration has been backed up again and again by The North Face’s willingness to put their reputation to the test at the furthest edges of the planet. They have supported, sponsored and kitted out countless expeditions, from the frozen wilds of Alaska, to high Alpine ridges and vertiginous Andean peaks. The ethos underpinning The North Face is clear to see from the beginning. A mission statement in the first ever TNF catalogue states “it is our aim to help people equip themselves with the most practical gear to fit their need and to reduce over-equipping.” This focus on “necessity before luxury” has lived on in the brand’s relentless pursuit of excellence and keeps their gear accessible for all levels of adventurer. It is ironic that a brand so synonymous with the mountains should have its foundations at sea level. In 1966 husband-and-wife team Doug and Susie Tompkins introduced The North Face as a small mountaineering store in the North Beach neighbourhood of San Francisco. They offered premium backpacks and climbing equipment for the local community of mountaineering and outdoor enthusiasts. Two years later Kenneth ‘Hap’ Klopp bought the company and relocated to the Berkeley area, where The North Face began designing and producing its own specialised outerwear. In the 60s they made their first ground-breaking contribution to adventure gear by creating a North Face Backpack with the first ever internal frame. This was followed by the revolutionary geodesic dome tent, which soon became a standard adopted by weekend campers and explorers alike. The 1970s also saw them introduce GORE-TEX® into their range, a major step in the development of robust, resilient outerwear that has become their calling card. Jackets have provided the most enduring and iconic moments in The North Face’s back catalogue. The Summit Jacket, the McMurdo Parka, the Nuptse: each of these retains a prestige and sense of history, enough to evoke a wry smile from veteran mountain lovers. This pedigree of next-gen innovation continues with the new Apex Flex Jacket, a next-gen blend of softshell flexibility and watertight mountain shell. In the 1990s the North Face diversified into fashion and lifestyle, the half-dome logo becoming a hallmark of quality streetwear as well as a testament to extreme-weather readiness. Hip Hop embraced the brand in the 90s, an urban relevance mirrored by the brand’s current visibility within the UK grime scene. Fifty years after that first North Beach store, The North Face is a powerhouse, straddling the worlds of fashion and performance wear. Their clothes are as beloved by dog-walking dad’s and style-oriented teens as the adventurous men and women who continue to put their faith in the brand to equip them for the wilds. For decades The North Face have pursued the standards of Experience Proven gear; continually developing the performance of their products by testing them in extreme environments. Ever since Doug Tompkins undertook his own journey to Southern Chile, where he established a new route to the summit of Mt Fitzroy, The North Face has been involved in expeditions around the globe. The brand built its reputation by outfitting successful journeys to inhospitable places. Perhaps nothing sums up the endless drive of The North Face as much as their expeditions to the highest reaches of the Himalayas. This unforgiving landscape inspired what is perhaps the most iconic of The North Face’s contributions to mountain gear: the Nuptse Jacket. Named after Everest’s neighbouring peak, the down-filled Nuptse puffer jacket became both an outdoor and fashion staple, as likely to be found on the freezing streets of New York City as on the slopes of a hostile Himalayan mountain. 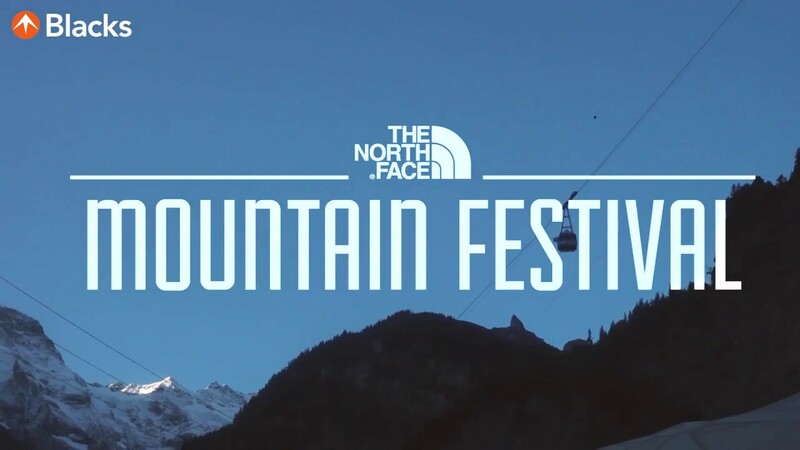 It’s mainstream success typifies The North Face’s wide-ranging, cross-purpose appeal. In 2012 The North Face Global Athlete Team reached the highest point on earth. Whilst this would be the pinnacle for many brands, The North Face continues to support other adventurers in fulfilling their mountain dreams. In May 2017 The North Face climbers Hervé Barmasse and David Göttler attempted to climb a new route up the south side of Shishapangma. At 8027 metres, the peak reaches into the “death zone”, yet Hervé and David attempted the ascent without supplementary oxygen. Their training ran the gamut of The North Face’s specialised areas, from alpinism to climbing to trail running. They raced up the mountain in just thirteen hours and, though they were forced to stop metres from the summit due to avalanche risk, they achieved something truly extraordinary. The images of their Men’s North Face Jackets at one of the highest places on earth stands as a testament to the brands desire to remain involved in real-world adventure. Women’s North Face Jackets have equally been captured atop extreme summits as well, with The North Face being heavily involved in promoting the achievements and activities of women in the outdoors. 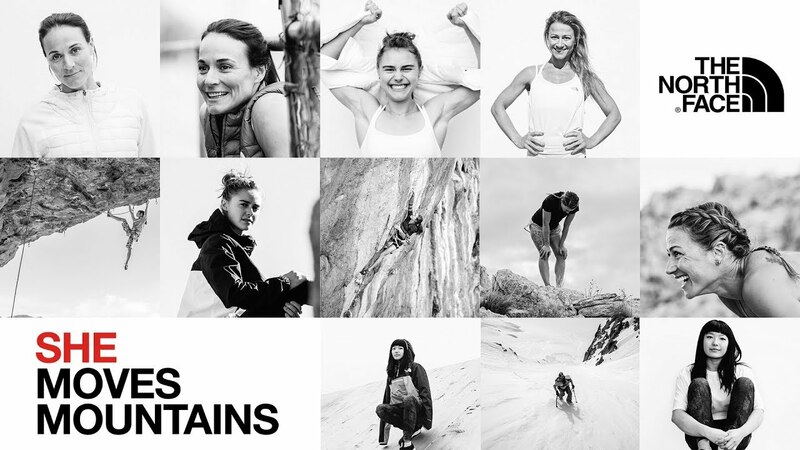 She moves mountains, The North Face points out, and a whole host of female mountain athletes have proved them correct. Doug Tompkins expedition to Patagonia resulted in much more than high quality mountain gear. A lifelong advocate of sustainability and land conservation, Doug enshrined ecological principles in the company he founded. The North Face continues to innovate ways of reducing the environmental impact of their production. Since 2014 The North Face have been manufacturing fleece from plastic bottles, keeping upwards of 30 million bottles out of landfill every year. In order to combat animal mistreatment in the down industry, they created the Responsible Down Standard. This covers every stage of the supply chain and ensures that an estimated 500 million birds now benefit from improved standards of animal welfare. As well as protecting the planet, The North Face also wants to promote more positive and healthy engagement with it. They sponsor and support numerous charities, foundations and outdoor communities to connect the public with the outdoors. Regardless of whether that means climbing a local hill or summitting Everest, The North Face continues to provide customers with the gear that fits their needs.